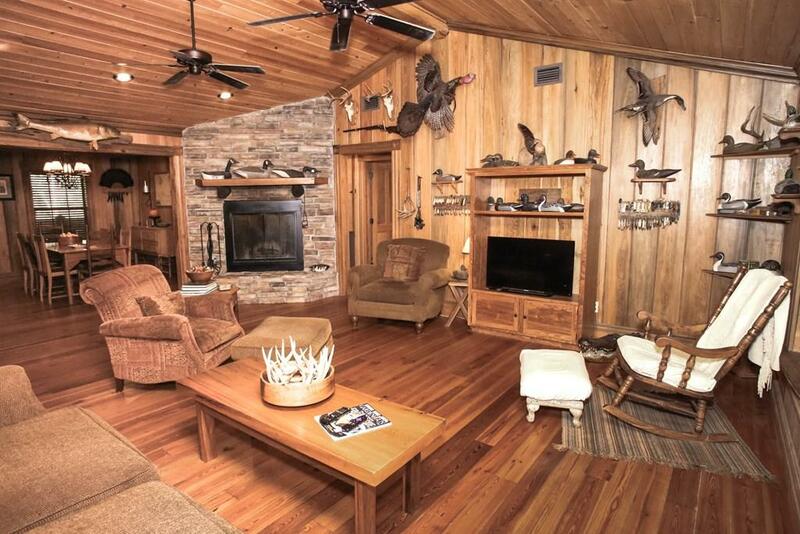 Not your average home, this fully wooden custom built 3 Bedroom, 2 Bath is sure to please. 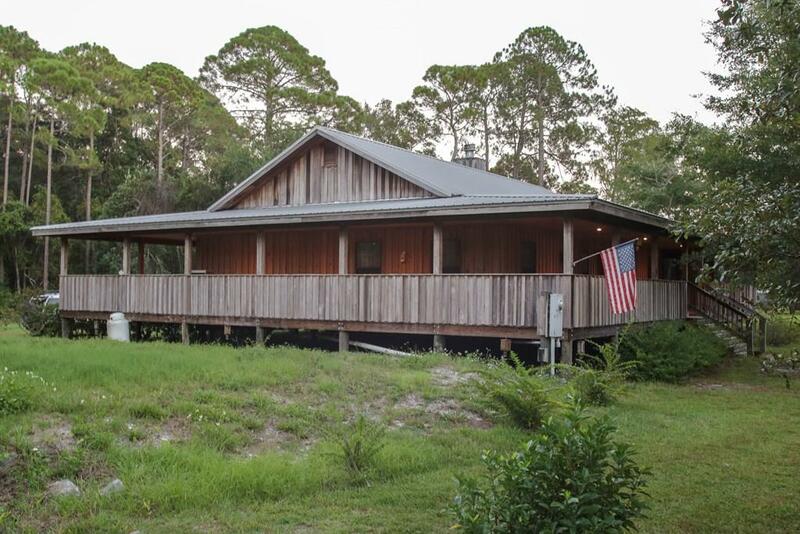 Built by local craftsmen using native woods throughout, with deadhead pine floors, cypress for walls, vaulted ceilings, cabinetry, even interior doors, home boasts custom 8" baseboards with 6" crown molding. Natural stone on wood burning fireplace with unique mantle in Great Room over looking dining area and kitchen. Large Master Bedroom with en suite plus 2 additional bedrooms which share hall bath. All this including large wrap around porch for a total of over 4000 square feet under roof. 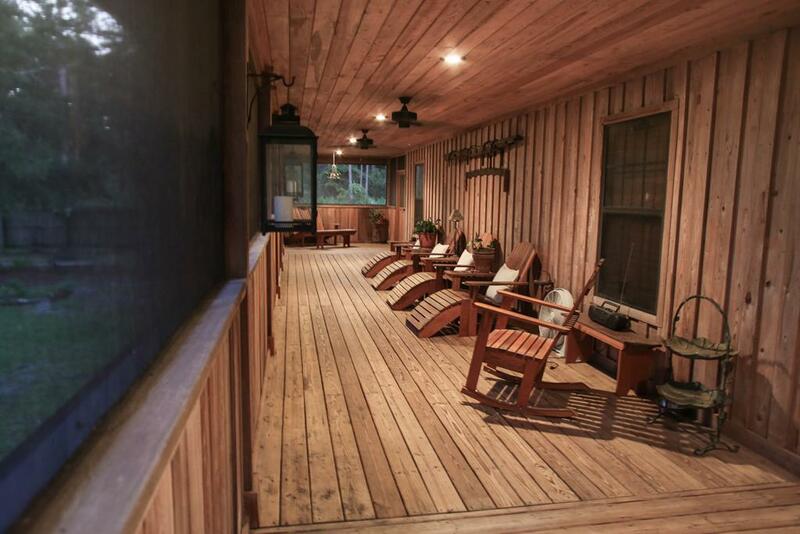 Enjoy sitting on large screened porch or rocking on front porch, this place has room for everyone! Situated on a fully fenced acre, grounds include boat shed, potting shed, garden, and fruit trees making for a truly magical retreat. 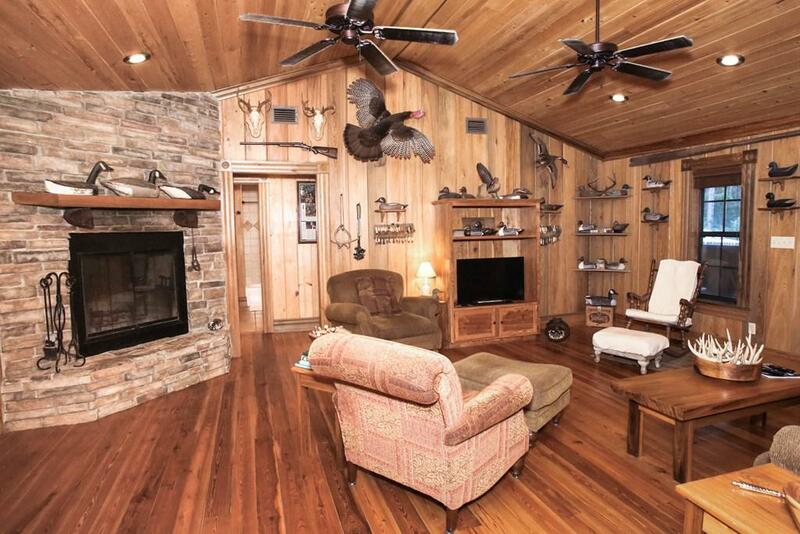 Listing provided courtesy of Robinson Real Estate Company.